POINT. MUGU, Calif. --- Northrop Grumman Corp. delivered the first operational MQ-4C Triton aircraft to the U.S. Navy facility at Point Mugu, providing the service with unparalleled endurance and 360-degree coverage that allows for a vastly expanded maritime intelligence, surveillance and reconnaissance (ISR) mission. Northrop Grumman is expected to deliver the second operational Triton aircraft later this year. Naval Base Ventura County Point Mugu is home to the maintenance detachment of Unmanned Patrol Squadron (VUP)19. Maintainers will prepare the first two operational Triton aircraft for its employment to Guam, scheduled next year. 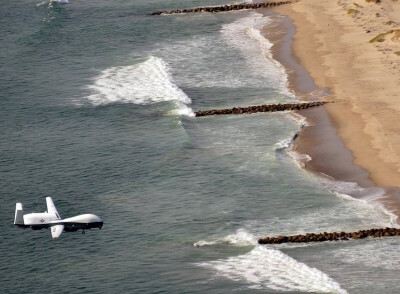 VUP-19, the Navy’s first unmanned patrol squadron, is based at Naval Air Station Jacksonville, Florida. Pilots and operators will fly the unmanned Triton aircraft from NAS Jacksonville. The Navy has announced plans to deploy Triton to NAS Mayport, Florida, NAS Sigonella, Italy and the Middle East in the future. Flying upwards of 55,000 feet for up to 24 hours at a time, Triton provides unprecedented, persistent 360-degree maritime domain awareness through vessel detection, classification and tracking. Triton aircraft can combine to fly an orbit, with one plane on station and another en route, providing the Navy with near-constant coverage of huge swaths of ocean and littorals. The program of record ultimately calls for Northrop Grumman to deliver 68 aircraft to the Navy.